Akil Kureshi & B. N. Karia, JJ. The petitioner has challenged a notice of reopening dated 31.3.2017 issued by the respondent Assessing Officer. Brief facts are as under. The petitioner is a partnership firm and is engaged in the business of development of housing projects. For the assessment year 2010-2011, the petitioner had filed the return of income on 28.9.2010 declaring gross total income of Rs. 1.36 crores and after claiming deduction of Rs.1.10 crores under section 80-IB(10) of the Income Tax Act, declared a total income of Rs.25.73 lacs. Such return was taken in scrutiny. The Assessing Officer raised multiple queries including calling for the details of housing projects completed by the assessee and the allotment of shops and houses in such complex. The petitioner duly complied with such questions. The Assessing Officer thereupon passed the order of assessment under section 143 (3) of the Act on 27.11.2012. (iii) any person representing such individual, the spouse or the minor children of such individual or the Hindu undivided family in which such individual is the Karta. Thus, during the course of assessment proceedings for the asst. year 2013-14 it was proved and also it was admitted by the assessee that the assessee has allotted flat no. 403 and 404 at Tower A/9 Spring Wood Residency to Shri Gauttam Kantibhai Patel and Smt. Bhavana Gauttam Patel respectively, who are husband and wife. Accordingly, the claim of deduction u/s 801B(10) of the Act amounting to Rs. 1,56,40,674/- was disallowed and added back to the total income of the assessee. For claiming deduction u/s. 8OIB(10), the assessee has to fulfill all the conditions laid down in all the clauses below section 801B(10) of the Act. In this case, as stated herein above that the assessee has violated the provision of clause (f) sub-clause (i) of the act and as such the assessee is not entitled to claim deduction u/s 801B(10) of the Act. A plain reading of the provision of section 801B(10) of the Act makes it clear that an assessee will be entitled to claim deduction under the provision of section 8OIB(10) of the Act, if he fulfills all the conditions mentioned in clause (a) to (f) below section 8018 (10) of the Act. 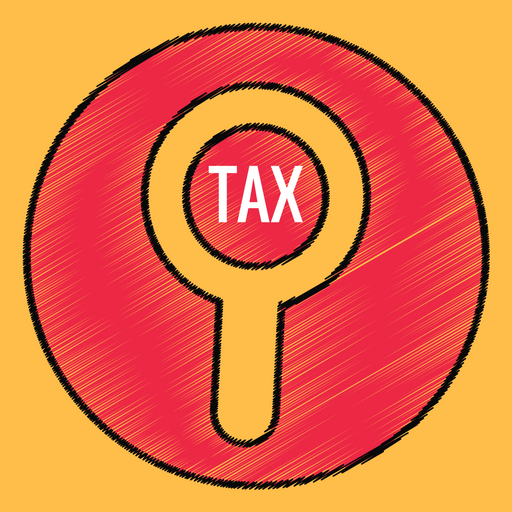 In the instant case, the assessee has contravened the provisions of clause (f) sub-clause (i) to section 801B(10) of the Income-tax Act, 1961. Therefore, the deduction u/s 80lB(10) of the Act claimed by the assessee is to be disallowed. Counsel for the petitioner submitted that the notice of reopening was issued beyond a period of four years from the end of relevant assessment year. There was no failure on part of the petitioner to disclose truly and fully all material facts. Notice of reopening was therefore, invalid. He further submitted that during the original assessment, the entire issue of assessee’s claim of deduction under section 80-IB(10) of the Act was examined. Any attempt on part of the Assessing Officer to make change in such assessment would be change of opinion. Counsel lastly contended that in any case, merely because there was some alleged breach in the allotment of completed units of the residential complex by the assessee would not disentitle the assessee from claiming the deduction during earlier years. On the other hand, learned counsel Shri Varun Patel for the department opposed the petition contending that the Assessing Officer had recorded proper reasons. During the assessment of assessment year 2013-2014, it was found that the petitioner had made allotment of two residential units in favour of husband and wife which was in breach of conditions. The claim of deduction was therefore, rejected in such year. Such breach of condition would disentitle the petitioner from claiming deduction in earlier years also. Facts are not in dispute. There is no allegation by the department that during the year under consideration i.e. the assessment year 2010-2011, the petitioner made any allotment of residential units in breach of conditions. The Assessing Officer as per the reasons recorded wishes to reexamine the petitioner’s claim of deduction of Rs. 1.10 crores under section 80-IB (10) of the Act for the said assessment year on the premise that that in the assessment year 2013-2014, such claim was rejected since the petitioner had breached condition of not allotting two residential units to husband and wife. In other words, in absence of allegation of any of the breaches in the year under consideration, the Assessing Officer wishes to reopen the assessment for the current assessment year. On the simple reason that there was no failure on part of the assessee to disclose truly and fully all material facts, a a mandatory condition which must be satisfied before reassessment can be permitted, impugned notice must go. In that view of the matter it is not necessary to examine the contention of Shri Varun Patel that for breaches committed in later years, deduction claimed and already granted even if after scrutiny, can be withdrawn. In the result, petition is allowed. Impugned notice is set aside. Petition is disposed of. This entry was posted in Sec. 143(3), Section 80-IB and tagged 407 ITR, Gujarat High Court, In favour of Assessee, reassessments u/s 147.